It was June 21, the summer solstice, and I was headed by train from the central Swiss city of Lucerne to the ski resort of Zermatt in southern Switzerland, a three-hour journey ending in an escalating ride through the Visp Valley, a narrowing river gorge whose rushing waters drain the highest Alps into the mighty Rhone. It felt as though we were ascending into the middle of nowhere when the tiny Alpine village of Zermatt suddenly emerged above the approaching train station. Automobiles are not allowed to enter these crowded lanes and walkways, but beware the electric taxis, which buzz about noiselessly and can sneak up on unsuspecting tourists enjoying a walk around this picturesque, centuries-old town with wooden structures dating back to the 1700s. 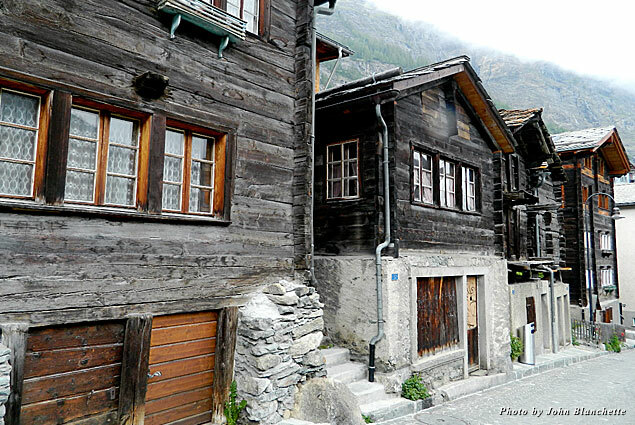 About 5,800 are permanent residents, with millions of visitors enjoying Zermatt’s charms each year. The horse-drawn carriages are a more gentile way to see the sights, and the clopping of the horse hooves offer warnings. From the train station, the fashionable town slopes upward past well-appointed hotels and shops. More than 50 restaurants, clubs, and discos offer great meals and entertainment for après-ski, and many extend the fun into the wee morning hours year round. Zermatt lies at the foot of the Matterhorn and means “mountain meadow.” It is the gateway to the most photographed peak in the world. A jaunty ski cap tops the mountain and is often tightened with ribbons of cottony clouds and white tufts decorating its sides. 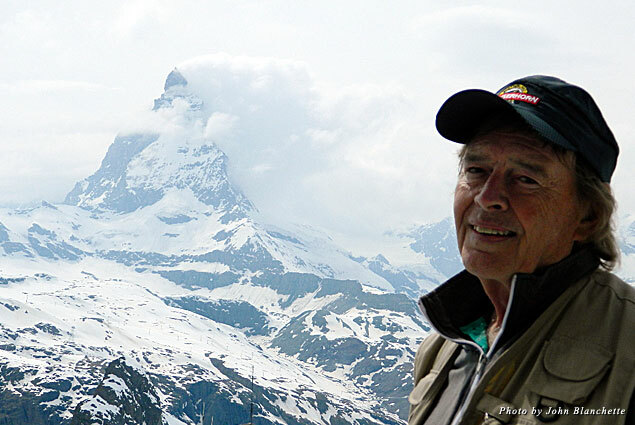 It is too steep for snow to stick so some call the pyramid-shaped outcropping a fang or shark fin jutting into the Alpine sky; I preferred to think of it in a more gentle way. 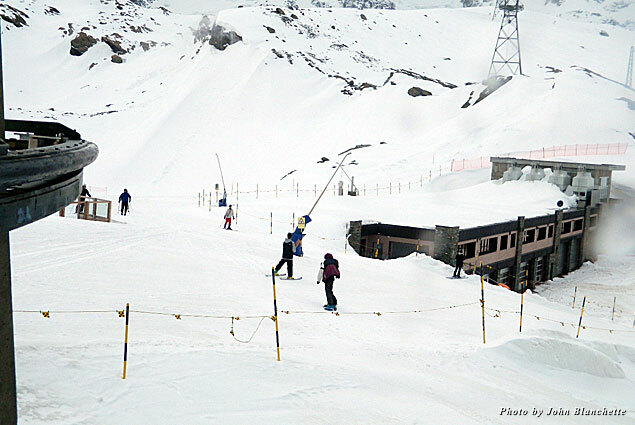 The mountain has been accommodating climbers since 1865, including such political figures as Winston Churchill and Teddy Roosevelt, who may have learned how to navigate the treacherous corridors of Parliament and Congress from their early exploits in the highest regions of the Swiss Alps. Over the years, hundreds of thousands have successfully navigated its four faces, but sadly about 12 perish each year. 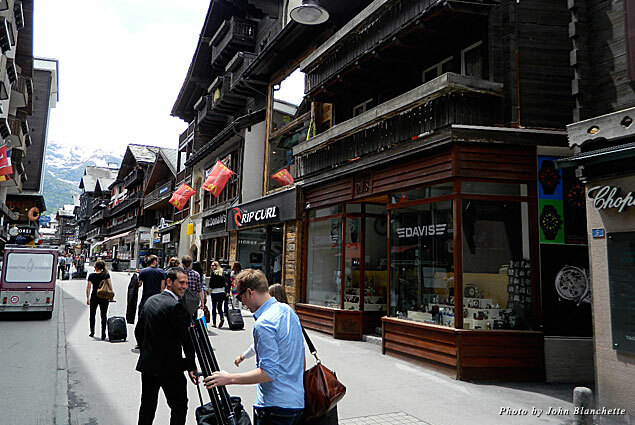 Many of the mountain’s victims, including three from the first ascent, are buried in Zermatt’s downtown cemetery. The Matterhorn shares the border of Switzerland and Italy and is one of the greatest year-round ski resorts, offering the most trail access in the world. The skiing is so good in summer the United States and Canadian Olympic teams were training there when I arrived on a drizzly day at the bottom, but a snow-filled one at the top. On two occasions I ascended into the Alpine sky, once with the aid of the Gornergrat cog railway that takes you to a viewing platform and restaurant looming above the town in the clean mountain air at 12,600 feet. The incredible sites of the Gornergletscher valley glacier, the Matterhorn, and the panorama of 29 other peaks over 14,000 feet will leave you panting, especially in this oxygen-deprived air. Very little was reaching my tingling brain, a warning to acclimatize for a couple of days before venturing into the higher realms. On my second ascent of the mountain range (using the local mountain climber jargon), I was better prepared for the altitude. The snow was whistling outside of the gondola as we swayed to the Klein Matterhorn (12,740 feet), the highest reachable point for non-mountain climbers. Skiers were riding the lifts up the slopes despite the blinding snow flurries. 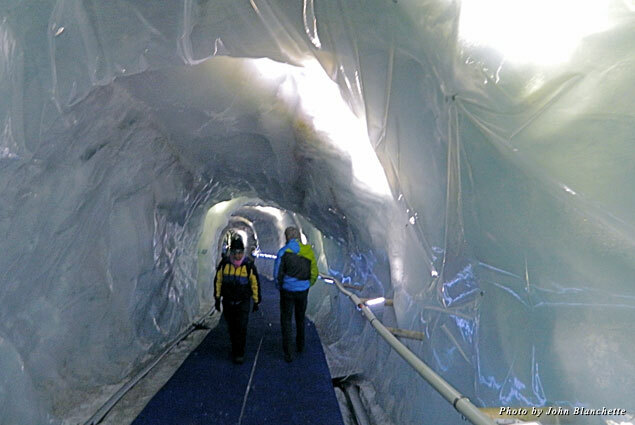 I settled for lunch at the local restaurant and descended into the Glacier Palace, an enchanting, 1,000-yard tunnel, which is re-dug each year and contains rooms with ice sculptures, sparkling natural crystals hanging from the ceiling, and otherworldly lighting that turned the glacier pathways powder blue. Like rings on the core of a tree, snowfall can be measured back thousands of years. On the gondola descent I stopped in the alpine village of Furi where you can return to Zermatt by hiking down the mountain paths, about an hour walk. The snow had now turned to rain so I decided to have lunch with Amade Perrig of the Zermatt Tourist Office, who had accompanied me up the mountain. 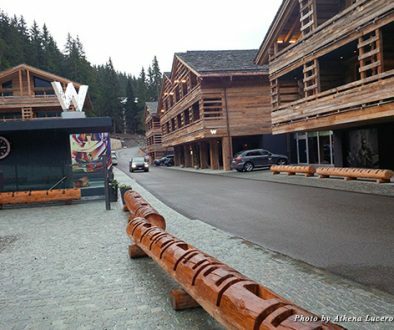 There are more than 50 restaurants dotting the meadows of the Matterhorn region in summer, many serving gourmet meals. We stopped in at his favorite, the warm and friendly family-owned Restaurant Furri, which has its own herd of cows and is where I had the best steak and rosti (Swiss for hash brown potatoes) on my tour. 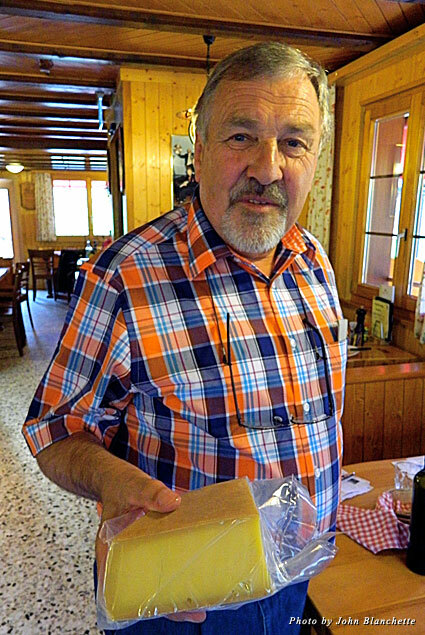 I couldn’t stop raving about the homemade Alpine cheese, so nutty and sweet, and on leaving owner Josef Schwegler-Kummer graciously presented me with a huge block, which I relish and serve sparingly to this day. Whether you arrive on the first day of summer, when the snow is flying throughout the Swiss Alps, or both you will enjoy the charms of one of the world’s greatest ski resorts. 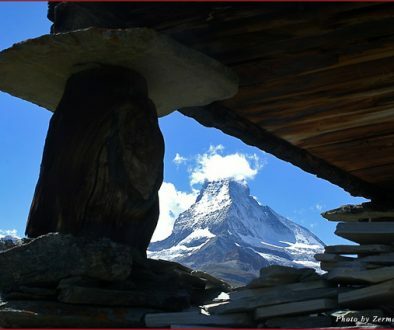 A must-visit while in Zermatt is the Matterhorn Museum, a glass-domed underground building on the site of the old casino. Revealed underneath is “Zermatlantis,” a painstakingly accurate reproduction of village life over the centuries. In Zermatt I stayed at the lovely chalet-styled Walliserhof Hotel, right in the heart of the town’s activities on Bahnhofstrasse, the main street. Be sure to try the restaurant’s famous fondue, the best in the area. 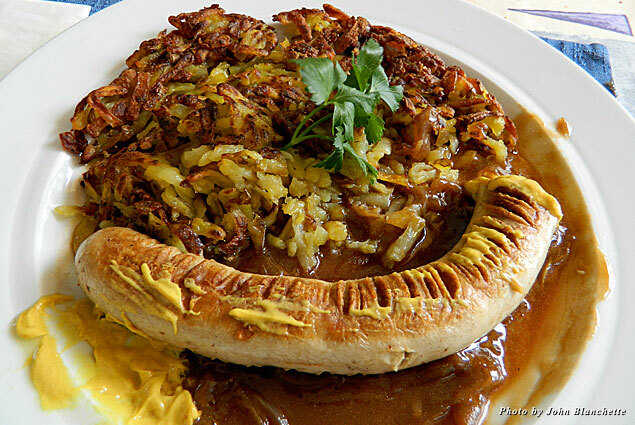 For local cuisine, great sausage and schnitzel, try Restaurant Walliserkanne, also on Bahnhofstrasse. There are 120 hotels around town offering a variety of accommodations in various price ranges, as well as apartment rental options and a youth hostel. 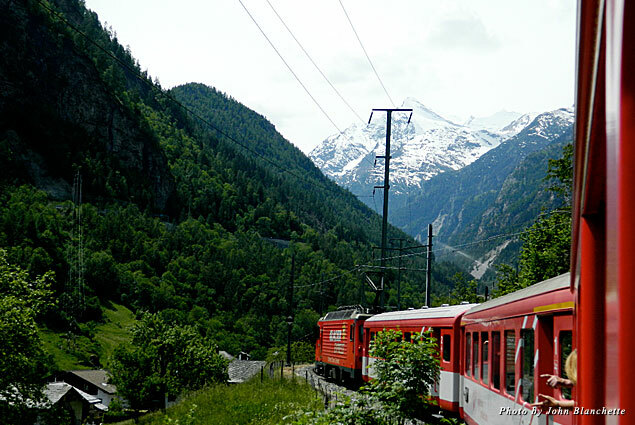 Purchase a Swiss Pass before you leave for the best deals and have free access to trains, buses, and boats, admission to more than 470 museums and discounts on mountain railways, Swiss Travel System and Rail Europe. Swiss International Airlines (Swiss) has direct flights into Zurich from all over the United States and serves delicious meals that often include the local fare and Swiss wines, a rare treat as you relax in the comfortable seating. 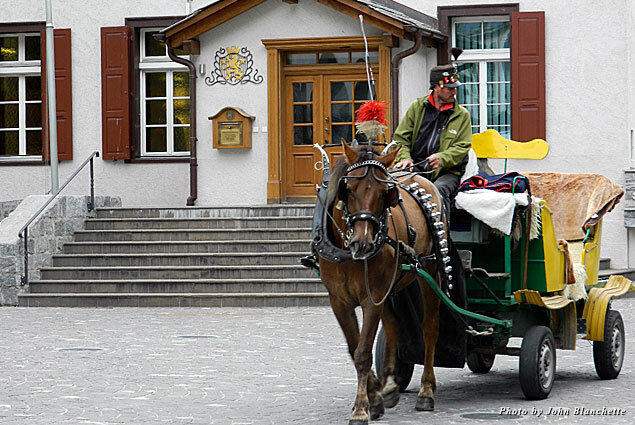 As a bonus, they can make arrangements with hotels and transportation throughout Switzerland before you leave. 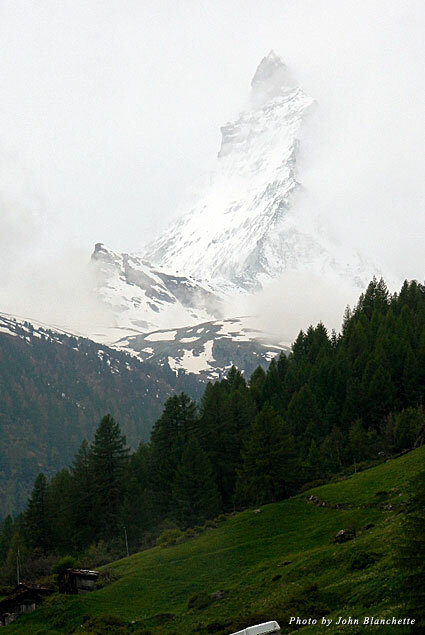 Switzerland Tourism, Valais/Wallis Promotion, and Zermatt Tourism provide comprehensive brochures and information about local festivals, events, ski and snow updates, restaurants, housing, maps, and guides.